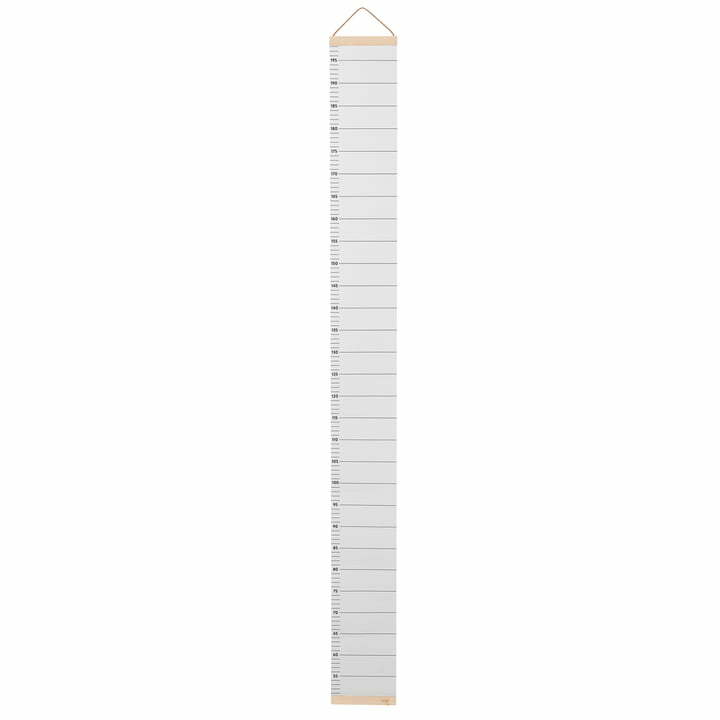 With the growth chart by ferm Living, ever centimetre your child grows can be track and recorded. The bar reaches 170 cm and offers enough space for notes, so that you later have a great memory. The narrow measuring bar is made of paper so that it can be written on. The maple wood frame ensures stability and with the leather strap, the growth chart can be hung anywhere. The kids growth chart by ferm Living is available in many different colours. The narrow measuring bar is made of paper so that it can be written on. The maple wood frame ensures stability and with the leather strap the growth chart can be hung anywhere.